// Urban Outfitters Sunglasses // Hermes Bracelet // Essie Nail Polish in "Blanc"
One of my favorite prints is ikat. I purchased this blouse a while back and finally have worn it. 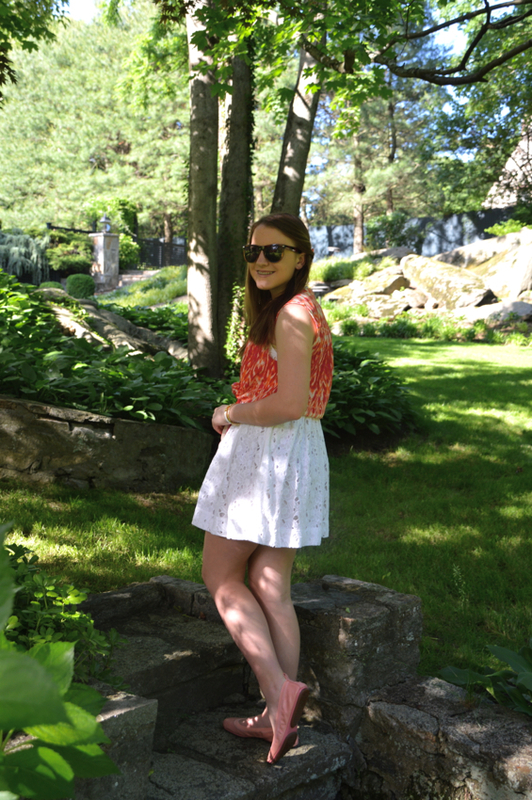 It's perfect for Summer parties and easy dressing. I paired it with an eyelet dress from Topshop and simple flats from Yosi Samra- they are so comfortable! 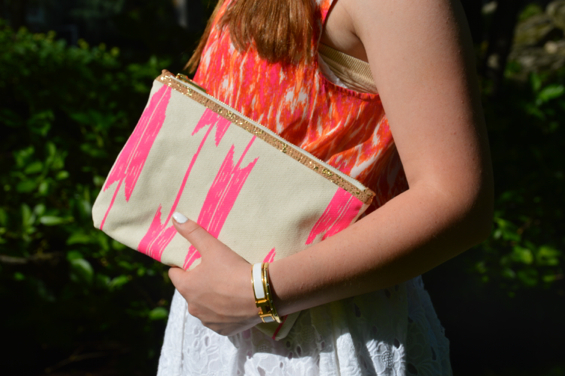 There is also a small bit of print mixing in this outfit with my new Persifor clutch from Lemon Stripes! The print is lovely and I love the small cork detailing on the rim!It can also double as a makeup bag for traveling. Speaking of traveling- earlier this week I was featured on Hitha On the Go, discussing traveling and packing!